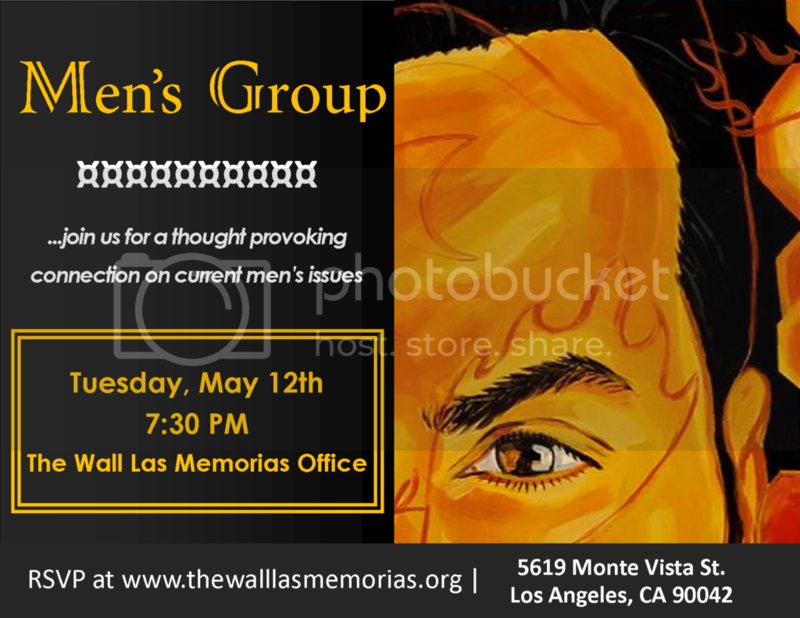 Join us for an intimate and thought provoking connection on current men's issues on Tuesday, May 12th at 7:30 PM at The Wall Las Memorias Project Office, located at 5619 Monte Vista St., Los Angeles, CA 90042. Participants are challenged to create community through empowerment and encouraged to find common understanding in culture, sexuality, peer education and brotherhood. Join us and get connected!